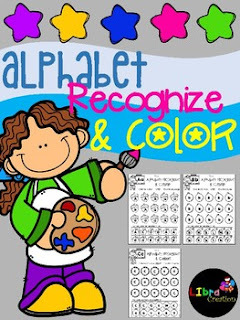 Inside you will find 5 free pages of Alphabet Recognize & Color. This product gives the opportunity for your early learners and students to color the pictures by order and also learn the alphabet and recognize upper and lower case letter. © Copyright 2017. Libra Creation. All rights reserved.